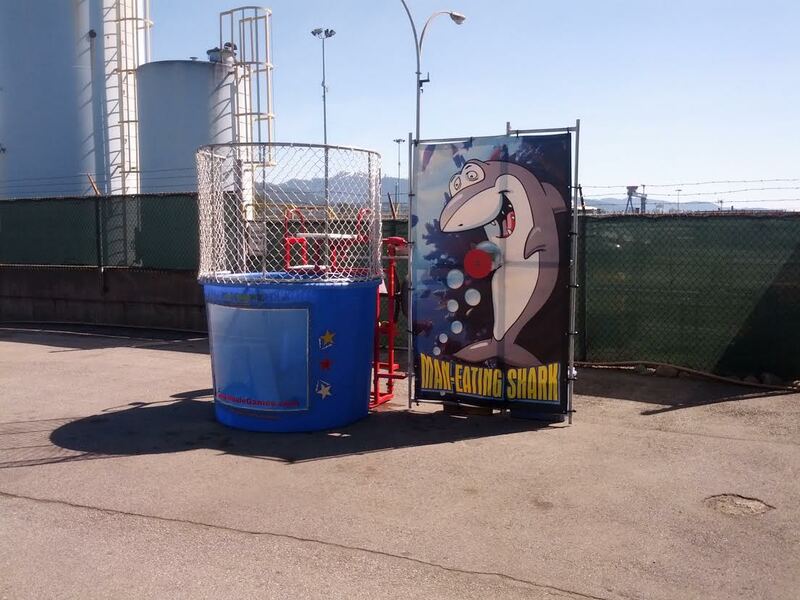 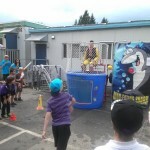 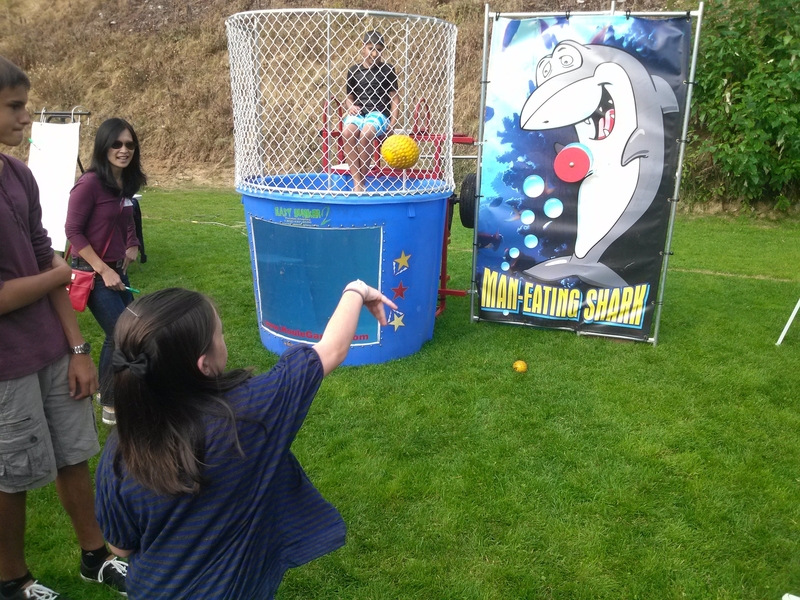 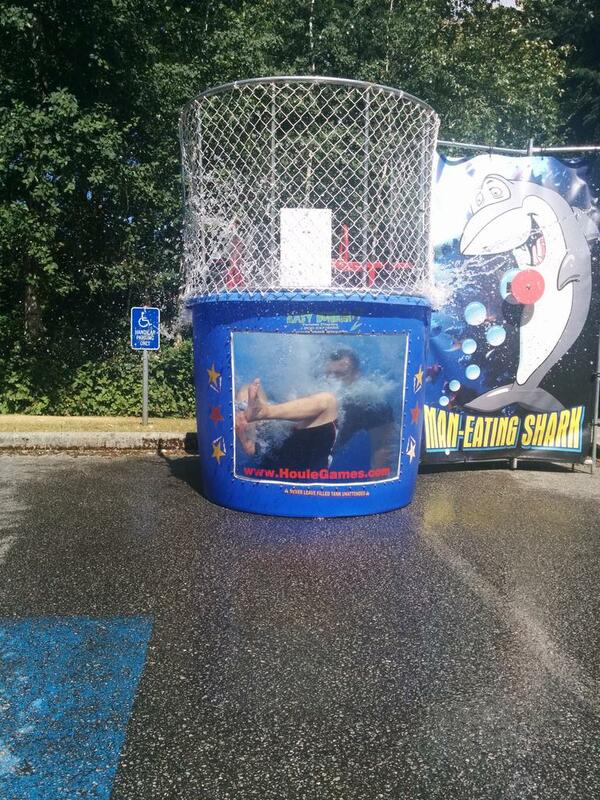 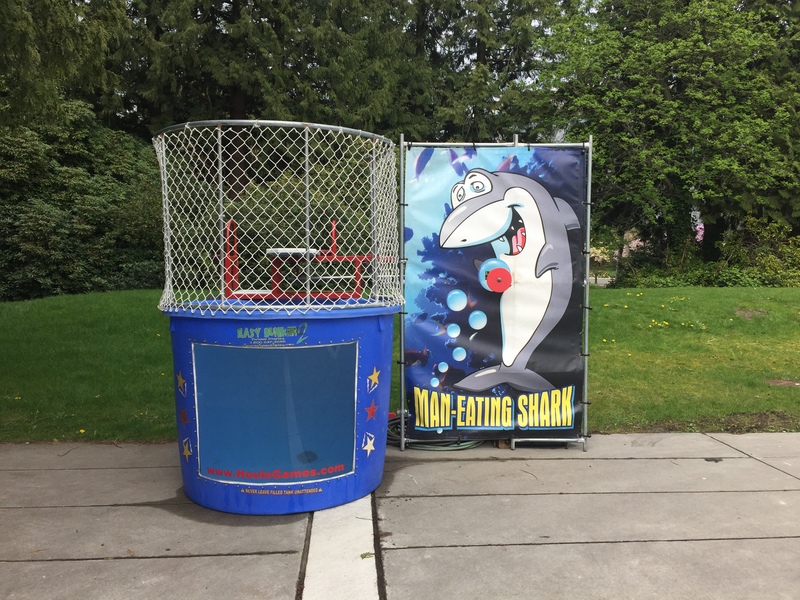 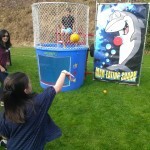 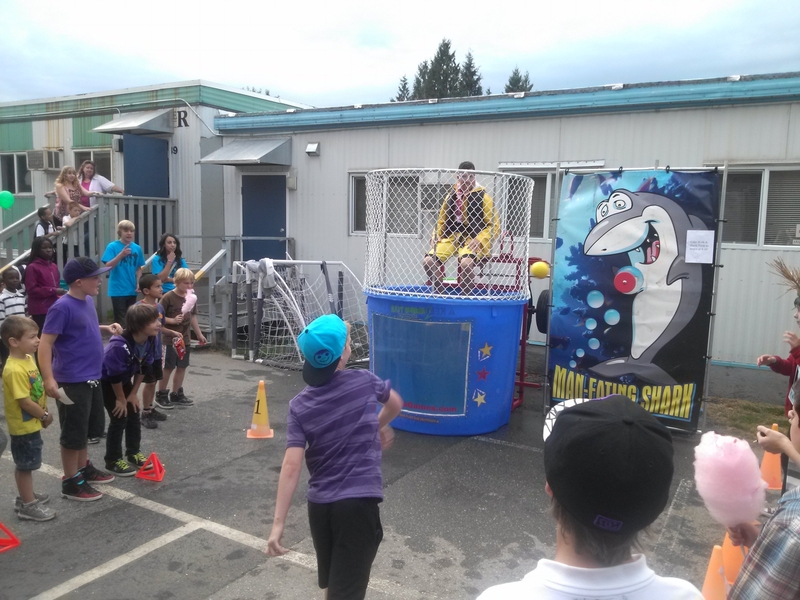 Our Dunk Tank is always a crowd favourite at outdoor events. 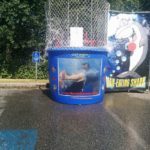 Big money maker for fundraisers too! 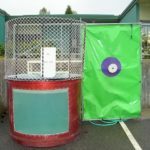 Throw the three baseballs at the bulls eye to try and hit the target. 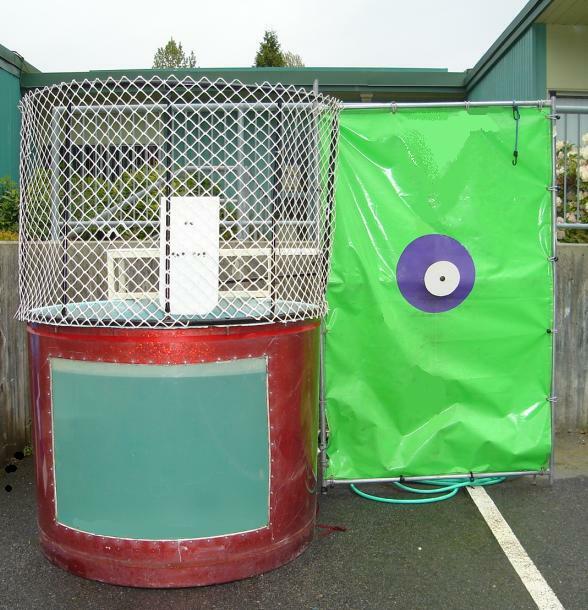 Dunk your boss, teacher or friend for loads of laughs! 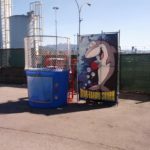 Our Dunk Tanks hold approx. 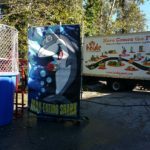 500 gallons of water and have front windows. 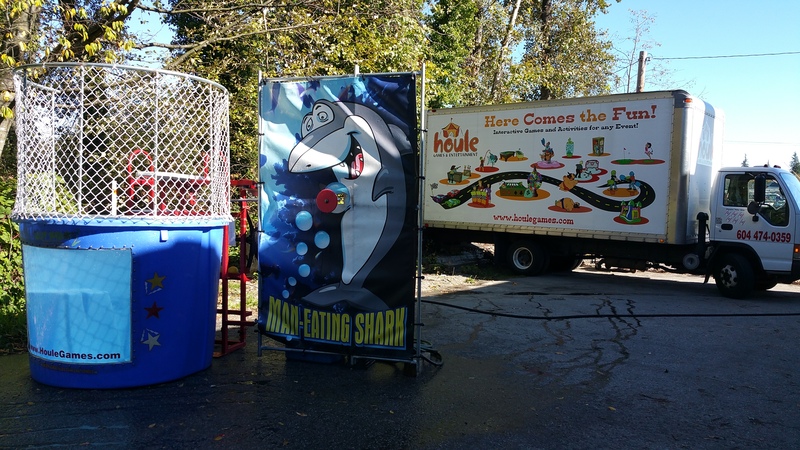 We include a 50′ hose. 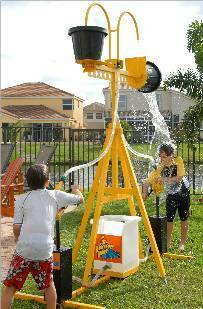 Requirements – Access to a standard garden tap.